Winner(s) must be willing to collect prize if required. The winner(s) will be selected randomly from correct entries and will be notified by email or phone or social media. The winner(s) agrees to their photo being taken and/or their name being used with regard to any publicity for Mykidstime if requested. 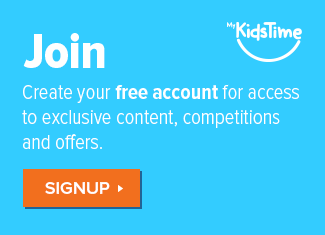 Mykidstime reserves the right to redraw winners if attempts to contact the winner at the designated contact number or email or through social media fail to result in a response. By entering our competition(s) if entrants have agreed to be contacted by the organisation giving the prize by ticking the box on our competition page then they are agreeing to their contact details being given to the organisation giving the prize and they may be contacted by that organisation in the future. Data given to the prize organisation will include all the form fields they completed, for example, Name, Email, Contact Number. If there is no tick box, contact details of the winners only may be given to the organisation giving the prize in order to get the prize delivered to them, but they will not be added to any mailing lists or be contacted beyond this by that organisation. The winner’s first name, first initial of their surname along with their location will be put onto our Mykidstime Competition Winners page which is updated every month.